Yes, that’s right, for the first time since The London Marathon I went out the door and just ran. I was a bit cross I couldn’t make BMF this morning because of an appointment but told myself it was the perfect opportunity to get running again. I think I’ve maybe not really lost my running mojo but just got out of the habit of running and got lazy because it’s easier to roll along to BMF and not plan anything else. I was free by 11 ish and almost managed to talk myself into waiting until later to run because it was hot. A glance at the weather forecast showed that it wouldn’t be much cooler until 7 or 8pm by which time I was in danger of wimping out. So I grabbed the letter that needed posting and kicked myself out the door. It felt like hard going to start. I’ve got far too used to short fast bursts with a little recovery in between so I stopped to take at least one photograph at the start. It got easier with time as my legs found their rhythm again and I forced myself around for a second small loop of the “hill”. After 2 miles I was definitely feeling myself again as I made my way home. I enjoyed it too, apart from the heat and a nice blister forming where my sock had fallen down inside my right shoe! Juneathon day 10. A RUN!!!!!! It wasn’t far, it wasn’t fast. I doubt it was pretty, but 3.2 miles run. 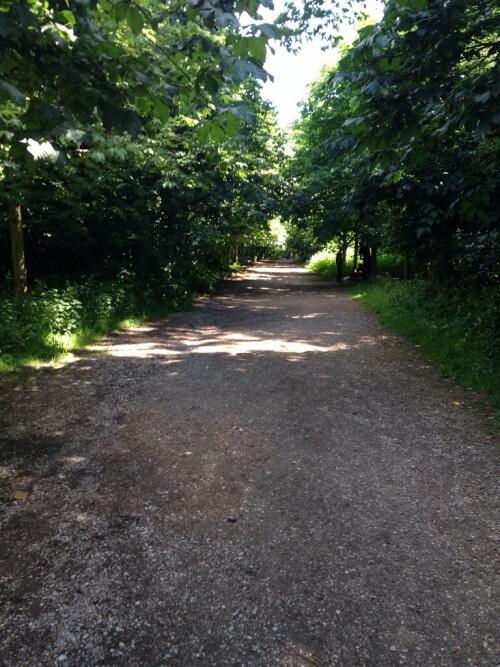 Categories: Juneathon, running | Tags: Holland Park, Juneathon, Running | Permalink. Thank goodness for routines that have me getting on my bike and going to BMF on Monday mornings before my brain registers too much and thinks a day off might be a good idea or I should maybe do some work or chores (which I never do when I miss exercise ) because once I decide I’m feeling sluggish I definitely am. So I cycled and got rather warm, got to BMF where I got very warm and then sat in the sun with a coffee afterwards to recover before cycling home adding an errand along the way. No aches and pains nor weary legs so not much to moan about other than the humidity. 1 hour BMF class (about 3 miles running) plus 5 miles cycling. 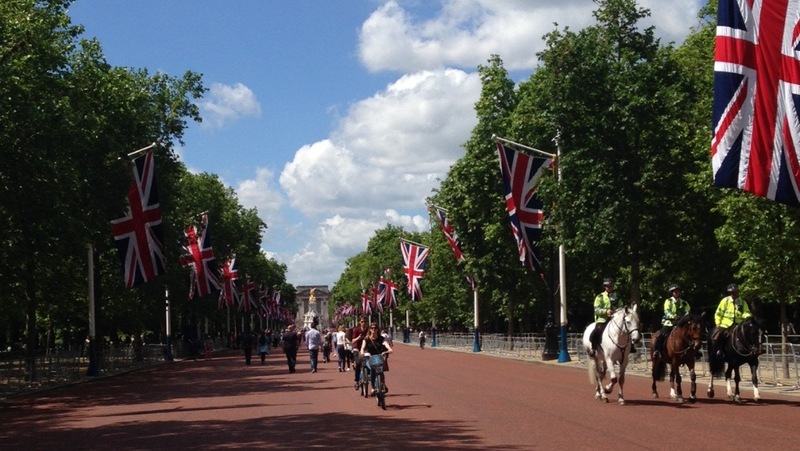 Categories: fitness, Juneathon | Tags: British Military Fitness, cross training, Hyde Park, Juneathon, Mondays | Permalink. I’ve done rather a lot of sprint intervals and best effort laps over the past few days! This is a good thing because it’s giving me a taste for running fast again and has got me wondering if I’m getting back on form and should get out and test myself over a parkrun. Mojo is on it’s way back! I was ‘wiser’ today after overheating yesterday. Today I left in shorts and vest! Thank goodness I didn’t ditch the waterproof because as I cycled down the road it started to rain. It rained all the way to BMF, through most of the class and all the way home. Oh well maybe I’ll get it right tomorrow. Categories: fitness, Juneathon, running | Tags: British Military Fitness, Juneathon | Permalink. 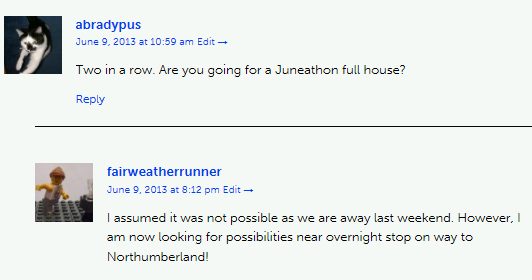 I’d got back to parkrun in Juneathon and Abradypus had sown the seed so it had to be a full house. I started researching parkruns and travelodges close to the M1/A1 on our route north. The nice thing about parkruns is once you’ve done a couple you get to know the routine and the same format everywhere is reassuring whatever venue you go to. Once I was there it was easy to follow the stream of runners to the start and the sight of the parkrun banners, the finish pen and fluorescent jackets of marshalls make you feel at ease and before you know it you’re standing in a huddle with other runners exchanging parkrun chat. The course is at Pontefract racecourse. I learned that the term flat racing describes the lack of jumps and not a lack of gradient changes. However the ups and downs were gradual so it was far from hilly. The course starts with a lap of the boating lake before running a lap of the race course on a path (tarmac and hard trail) on the inside of the rail followed by a quick second lap of the lake in the other direction. A good course which I liked. Even with 140 plus runners it wasn’t busy apart from the very start. It was interesting, green and attractive even though so close to the motorway. The out stretch round the race course was fast and gently down hill and the return stretch a little slower as the course gradually climbed up toward the lake. At least that was flat for a nice quick finish. I had a great run, a new attractive venue did wonders for my Mojo. I now understand what motivates people to get to parkrun week after week and some people travelling all over to different venues. I think I could get to quite like parkrun tourism. Bug caught! Juneathon day 29. 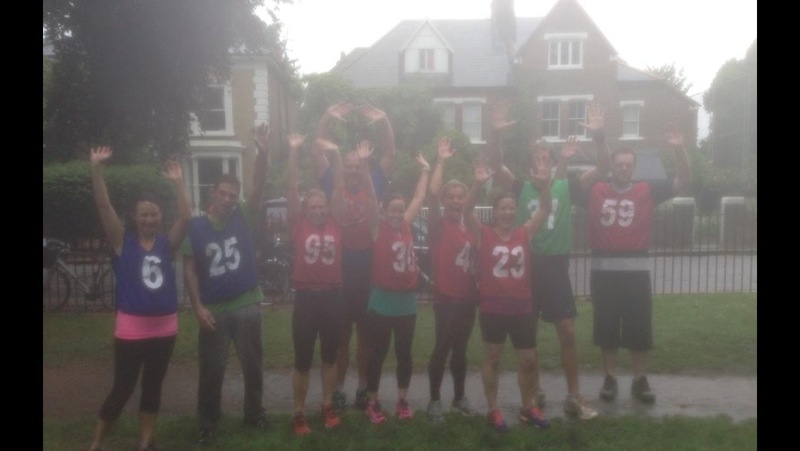 5th of 5 Juneathon parkruns. 3.13 miles in 24.19 mins, parkrun PB. 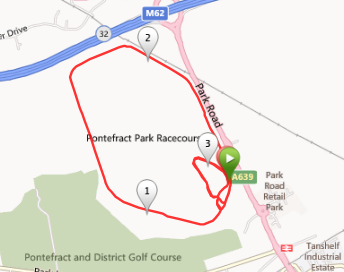 Categories: Juneathon, running | Tags: Juneathon, parkrun, parkrun tourism, Pontefract parkrun, Running | Permalink. Warning… This blog post will probably contain ‘too much information’. I was asked what time I run 5K in and at some stage before the red wine started flowing I had ‘agreed’ to go for a Sunday morning run (my time must have been acceptable for me to be invited). I carried on and enjoyed the evening and plenty more red wine and dancing in stupid heels until after 1 am. Next thing I know it’s 7.30am and OH has brought me a cup of tea and a large glass of water. He seemed rather too keen for me to make the 9am run. Next time he wants to engage the competitive nature of friends he can go and run with a hangover himself!! Anyway, I said I would be there so I had to get up and go. I felt fine after plenty of fluids and looked around for something to eat for a little light fuel for my run. 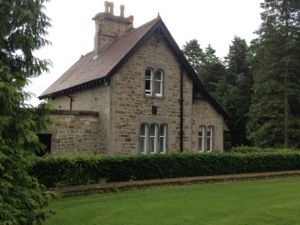 We were staying in a cottage in the hotel grounds and had bought food for the boys’ DVD night so I went in search of leftovers. In the absence of bread, malt loaf or bananas I hovered down an egg custard tart (pretty much all there was) with some more water and hoped for the best. We were joined by another party guest and set off on a square loop on quiet country roads. Mr Competitive was true to type and set off expecting us to follow on. I hung back a little as I could hear the other guy was already breathing hard and for the first mile we ran three abreast with a little conversation. We turned onto a larger road where there was some traffic so started running in single file. At this point the pace increased and I kept the distance behind Mr Competitive consistent ony easing off for an uphill climb and a steep downhill. After a couple of miles the other guy had dropped further behind me. I sympathised because I was also beginning to feel the effects of the wine. We were running along a straight road with fields either side and I started to get those tell-tale stomach pains and I hoped I was going to make it back to the Hotel. At what stage do you know a running companion well enough to say you’re going to nip over the hedge for a quick “Paula”?! I toughed it out and continued at reasonable pace making it back to the hotel not too far behind Mr Competitive with my dignity intact and after brief post run pleasantries returned to our cottage and managed to get younger son out of the shower and only bathroom just in time. Juneathon day 30. 3.18 miles. Categories: Juneathon, running | Tags: hangover runs, Juneathon, Running | Permalink.